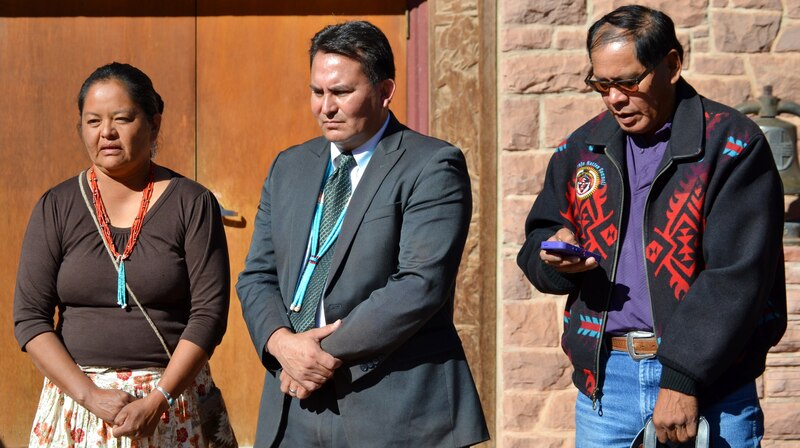 The Navajo Hopi Land Commission came out of executive session about 4 p.m. but before the Commission could vote on getting out of executive session, NHLC Chairperson Walter Phelps announced that they had lost a quorum. NHL Commissioner Lorenzo Curley broke the quorum. He added that the impoundment of livestock by the Hopi police and federal rangers would continue to be on the NHLC’s meeting agendas. And that the NHLC could even call a special meeting on the livestock impoundments. The NHLC meets every second week of the month, on thursday. During the NHLC’s executive session, the Navajo families living on Hopi Partition Lands met with President Shelly. It is 4:15 p.m. and the families are still meeting with Shelly.